Can a Businessman Become a Saint? The Role of Entrepreneurial Spirit in the Battle for Holiness. There is a great need for leaders in our society, evidenced by ethical collapses in business, scandal in the Church, and rancor in our politics. Yet, we are all called by Christ to be saints. How a Catholic layman immersed and working in the secular culture can take his call to holiness more seriously. Is it realistic to propose sanctity as a goal for the ordinary Joe besieged by the demands of daily living in an increasingly frenetic society? Can a life of prayer be combined with godless overactivity taking place around us? If so, how is it attained and what impact can we expect from our efforts to pursue it? 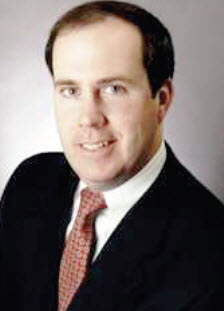 A graduate of the MIT Sloan School and Columbia College, Mark O’Donnell is a Senior Sales Associate with William Raveis Real Estate, the largest family owned real estate company in the north east with over $5.5 billion in annual sales and 2200 agents. Over the past five years, Mark has consistently achieved Chairman’s Elite Club status for his sales production which has ranked in the top 5% of all agents in the Company, selling over $100 million of real estate in over 20 towns in and around Boston. Prior to joining William Raveis, Mark worked at several major corporations in financial and planning roles. He was the Director of Corporate Finance for the Neiman Marcus Group and General Cinema Corporation for five years.